Many don’t like the New England Patriots. They are stand offish. The coach is the poster boy for rudeness. Cheating’s shadow hangs over them. Finally, they win. Few teams have not experienced a bad loss to them including mine, reason enough to not like them. Yet, they offer team building lessons that go beyond sports. Since all people are different, teams unify them by having them sacrifice their differences to emphasize commonalities in the form of goals and objectives. The main lesson is sacrifice. Groups need it. All people are different. Groups unify them by weaving common threads. The uncommon ones remain loose. They’re sacrificed. Unless one is an autocrat with absolute power running the group, a group can’t meet all needs of all individuals. Teams are a special group, in sports and at work. Of all groups, they require the most sacrifice. 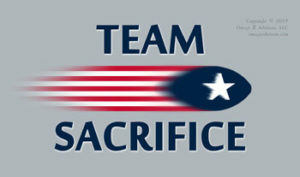 In fact, if people aren’t sacrificing, then most likely a team exists only in name. To see how the Patriots sacrifice though, one needs to look at the economics of football. Salary caps prevent teams from unlimited spending. This stops rich teams from getting all the best players. This means good players likely won’t stay on the team unless it has the money to pay them. Yet, for all their winning, the Patriots are relatively underpaid. Even Tom Brady is while possibly the best quarterback ever and one of the sports’ stars. Fifteen quarterbacks earn more annually than he does. In short, many of the key players gave up money to stay with the Patriots. Brady is one. The team also let go those players who wanted more money. They win without paying huge bucks for a lot of players. Contrast this with the Patriots’ 2019 Super Bowl opponent, the Los Angeles Rams. They have seven players earning over $10 million a year. The Patriots only have two. Obviously, good management gets good returns. Poor does not. This shows up big in team building. It’s easy to feel throwing money at a star hire will cure ills though. In many cases, it just puts a temporary shine on bad management. In the end, great teams don’t come without sacrifice. It takes good management to honor that sacrifice and show its value to the team. Good management can cover a lot of ills . . . including wasting money on overhyped talent. It can also make stars out of the “no names.” After all, when Brady entered football, teams picked 198 players before him.